My mother and father, whose parents immigrated to Britain from Russia and Poland, belonged to a secular, leftish generation of East End Jews, witnesses to the rise of fascism, the Battle of Cable Street, the war in Spain, and then World War II. When I was growing up in the fifties, I saw the inside of a synagogue only when my numerous cousins were bar mitzvah, or got married, but never at yomtovim. Later, when I too got married, it was in the West London Synagogue at Upper Berkeley Street. Thus I was an adult of twenty-four when I first walked into a synagogue, on my own, to join a Rosh Hashanah service. The morning prayers were well underway and I was held at the door till the conclusion of the Amidah, so when I entered, it was the moment, numinous and affecting, of Avinu Malkenu, which I was hearing for the first time. The service was printed, with many diverting typos, on ring bound folders, because the machzor for the High Holy Days, Days of Awe, would not be published until 1985. 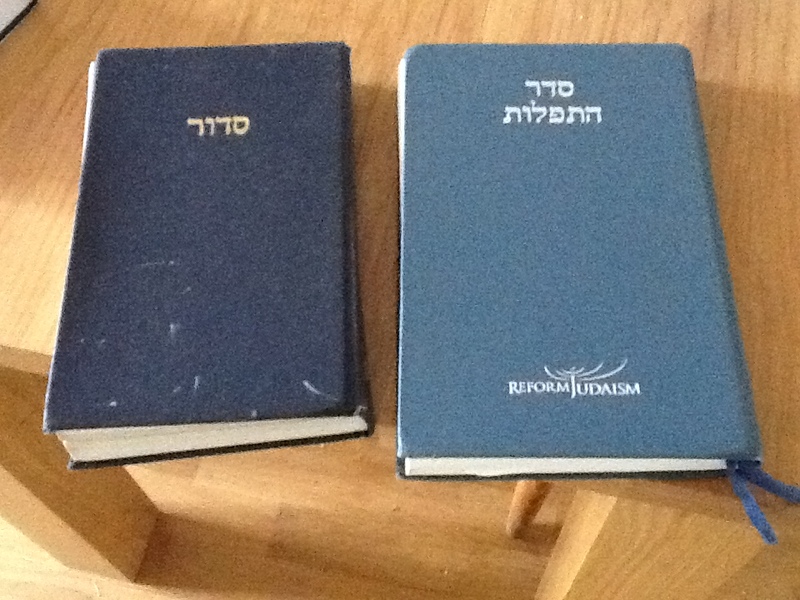 For more than forty years, the liturgy of Reform Judaism has carried me, through almost every phase of the life cycle and through the roller-coaster of faith and doubt. I have spoken the prayers and the prayers, often so meaningful as to make me weep, have spoken to me. They speak to me still, but not so vibrantly as before, or perhaps I should say, not so convincingly. The translators are profoundly attentive and innovative in matching the traditions of Judaism with the zeitgeist of contemporary reality, but there are some difficulties in the very marrow of the language. I find there are unresolved problems about, for example, chosenness, the return to Israel, the Creation, the Exodus and God the healer. I believe most of us have difficulties believing what we say on these topics, whether we are reading them in Hebrew or in English. The language is no longer gender specific and we ask God to bring peace upon all the world, in addition to Israel. We do not say col b’nei adam, ‘all the sons of men’ which excludes women and girls, but col ha-olam, ‘all the world.’ Very significantly, we say ‘And in your eyes, it is good to bless Your people Israel with the strength to make peace,’ instead of the former translation, ‘Blessed are You Lord, who blesses His people Israel with peace.’ In both siddurim, 1977 and 2008, the Hebrew is unchanged, with the earlier translation representing a literal match. The 1985 Days of Awe machzor has the same: the male God, the Lord, blessing His people Israel. Over the years, I have heard many acceptable explanations of the difficult terminology. God chose us for responsibility, to lead ethical lives and adhere to a fair number of mitzvot. God heals through the hands of physicians and through the comfort and kindness we show to each other. Israel, when we name it, is not necessarily the modern State with disputed borders. The Creation and the Exodus are part of our inherited mythos, part of our identity as Jews and not our documented history. Nevertheless, aspects of the liturgy, connected with the topics I mention, have become something of a stumbling block for me, during prayer and I make the inference that others have similar experiences. The conundrum for me is that I cannot decide whether we should, in our translations, make more changes or fewer changes. The literal and conservative translations of earlier Reform prayer books still strike me as poetic, sometimes more aesthetically pleasing than the forced name ‘Sovereign’, always addressed in the second person, to avoid gender specificity. Possibly, the more poetic the words, the more we can come to terms with the gap between what we say and what we mean. We may mean something ineffable, and then the words will never do more than approximate our meaning. At other times, we mean something which can indeed be expressed in words and the words of the prayer books have seemed just right, expressing my thoughts mi-ma’amakim, from the depths; from the depths of my soul, in which, apprised of Descartes’ Error, I do not precisely believe.